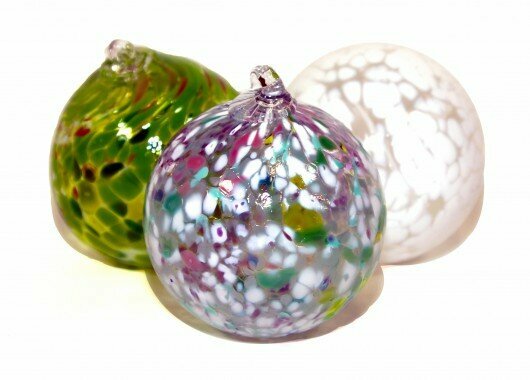 Interested in taking a glassblowing or flameworking class? Click on the class name to learn more about it! *Sadly, you cannot take home your glass masterpiece that day. All items must cool slowly in a kiln and may require added polishing needs. Please allow a week for all class pickups. *Pickups can be made any time during standard gallery hours. *Our classes run as shown on the Calendar, regardless of gallery hours. *Please note that we can only hold your beautiful, unique glass treasures for 90 days in our cubbies. Any items not picked up within 90 days will be removed to make space for other students’ work. Make one or many! Sign up online and choose any of the listed classes on the schedule. 6 ornaments per hour. Email floglassblowing@gmail.com or call us at 613-695-3563 to book directly. A great activity for the whole family! This class is suitable for children over the age of six. Perfect activity for corporate events, school groups, birthdays, bachelor(ette) parties, Guide groups, or family gatherings! Flo can accommodate parties of up to 20 people. Want to make more than one ornament? Cost is determined by the number of items made, not the number of participants. Make six ornaments as a private session, or come in with a partner to make a few each! Take your ornament home the next day! Minimum Age: 6 and up! Our second “all ages” class, choose the colour of your apple and assist the instructor in shaping the piece by blowing air into the pipe. Make one or many! Sign up online and choose any of the listed classes on the schedule. 4 apples per hour. Take your apple home the next day! One of our favourite forms has long been the gourd! 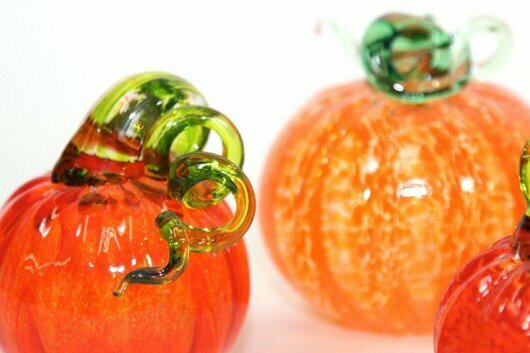 Get into the hot seat this fall and assist in making your very own glass pumpkin! This class is structured similar to the blow your own ornament classes. Students take their turn inflating a bubble into the glass, with the added steps of blowing down into an optic mold to create the ridged glass needed for the pumpkins lines. Book for yourself, or a group and build your own pumpkin patch. *Pumpkins in this class are limited to small to medium scale. Your pumpkin will be ready to pick up the next day! A coveted collectors item and a perfect gift! Come make yourselves a spring flower that is both charming and completely unique! Customize your colours and take turns heating the glass at the furnace. 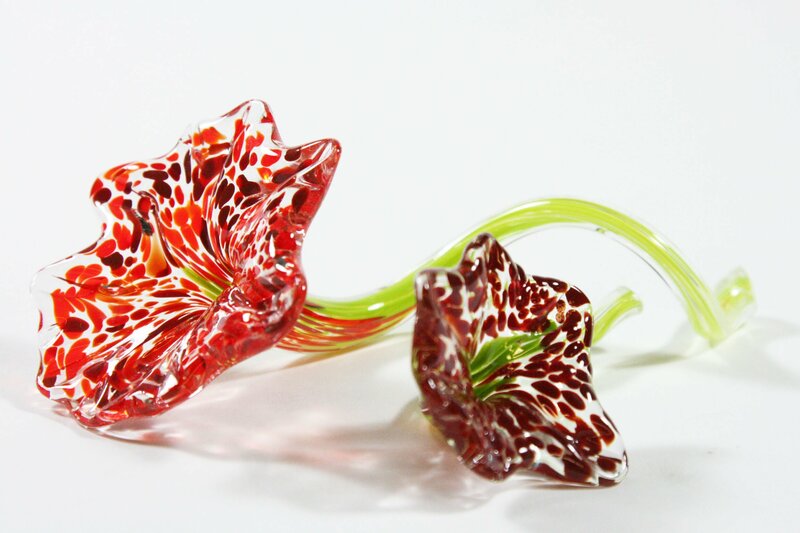 Each student will mash the molten glass and tweeze the petals to their very own glass flower. No experience is necessary. Your flower will be ready for pick up later in the week! Everyone’s favourite piece is now being taught! Come learn how to make an adorable little bird, perfect for sitting on your desk or in the garden. Choose your colours, gather the glass and learn how to sculpt animal forms with the tweezers and jacks. We polish the base and you take it home…or you can pay $10+HST more in-store and have it made into a wine stopper! To allow for polishing, your bird will be ready for pickup one week after your class. * This class is currently being booked by request. Email to ask to be on our waiting list. Or if you have a group of 3 or more interested in taking the session with you, call or email to schedule your own class! Design and sculpt mini glass pieces to top off your favourite bottle of wine! Gather the glass and learn how to use a variety of tools to create the shapes you want. We attach the final pieces to graduated stopper bases so they can fit into bottles of any size. To allow for finishing, your stopper will be ready for pickup one week after your class. In this hour long session, bring a friend and assist the instructor in making 4 items. How to register: Register yourself online and come to the class by yourself or with one other person. 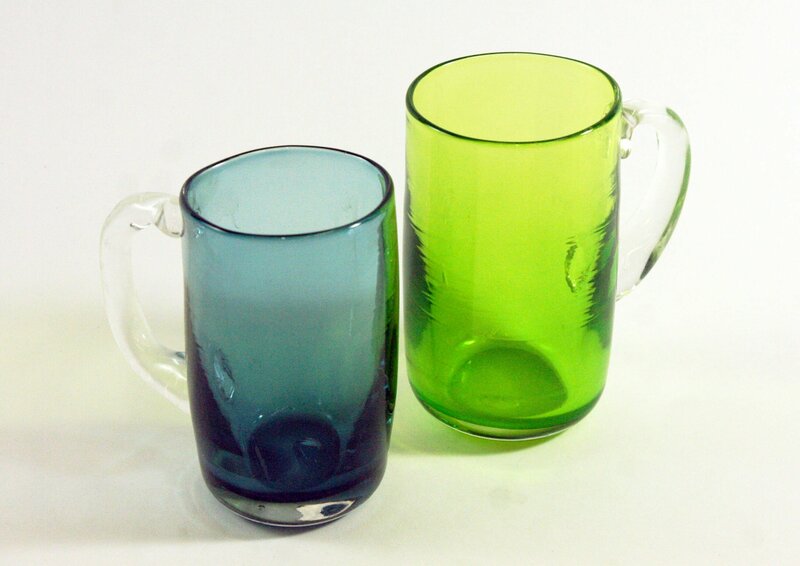 Come by yourself or with a loved one, and assist the instructor in making 2 drinking glasses in the colours and shapes of your choosing in this one-hour private lesson. Assist in making a beer stein with sturdy base and handle! Choose your colours and learn the basics of bit-work in this fun and interactive class. We polish the base and you take it home. *this is not a series class, however, we do require participants have the knowledge to assist and gather glass o deliver the all important handle. To allow for polishing, your stein will be ready for pickup one week after your class. 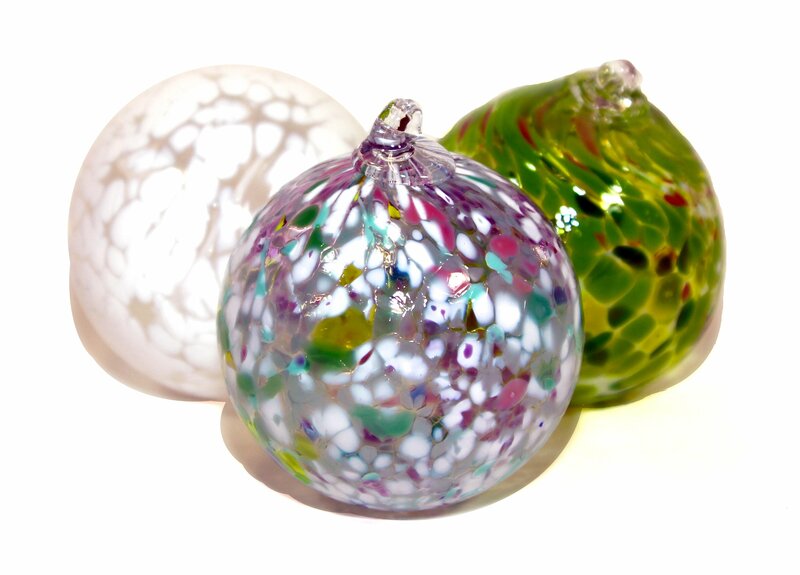 Learn the fundamentals of glassblowing! 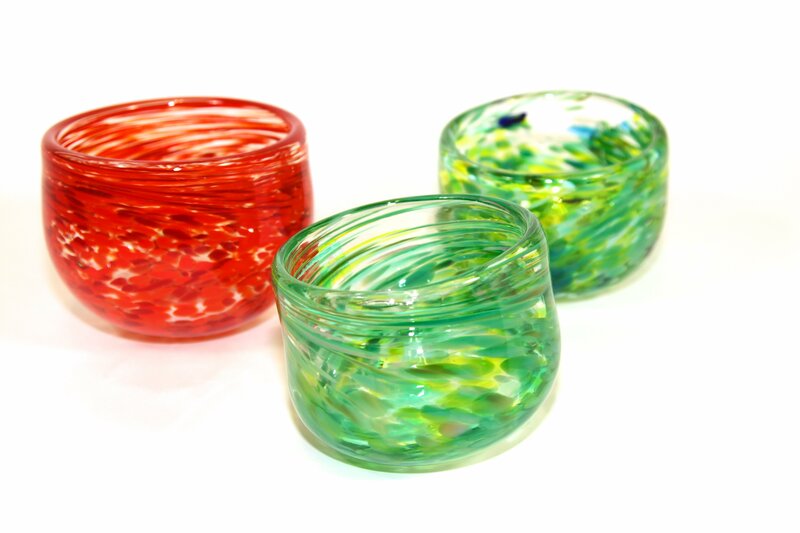 You will learn how to gather multiple layers of glass on the end of a punty, marver it across a steel tabletop, apply colour (chosen by you) and twist it into beautiful swirls, and shape it with wooden blocks into a completely unique paperweight. To allow for polishing, your paperweight will be ready for pickup one week after your class. Building off the skills and techniques learned in Part 1: Paperweights, learn how to introduce air into solid pieces and work with hollow forms. New challenges include thinning out the glass walls and creating a narrow neck for it to break off. We put the hook on and you take it home the next day! Your ornament will be ready for pick up the next day. This class introduces the tools and techniques used to shapeand flatten the bottoms of standing vessels and to create an opening for a wick. You design, shape and blow the oil lamp and take it home with a wick for a completely unique functional piece! To allow for polishing, your oil lamp will be ready for pickup one week after your class. This class uses all the techniques of the previous classes to create a beautiful drinking glass. Watch and assist as you learn about the crucial ‘punty’. After leading your piece into a long hollow form, you will flip it on its head and transfer it over to another pipe. This technique will introduce you to new jacking techniques where you will learn to open the lip of your cup into your perfect, one of a kind tumbler glass, ideal for every day use! To allow for polishing, your cup will be ready for pickup one week after your class. Building from the foundation of the beginner classes, students in this course will be given the full day in the hot shop to develop their skills and continue to grow their bubbled forms. The Morning – Part 5 focuses on that critical ‘punty’ step. The process of transferring a bubble from one pipe to another will allow you to work from its lip and open the piece to create smaller forms such as dishes and small vases. The Afternoon – Part 6 will focus on going BIGGER! Students will gather extra glass to create taller vases. Each student can expect to make a minimum of 2 pieces. All items lead and created by yourself. Full day 6-hour course, or two consecutive part sessions week to week. To allow for polishing, your piece will be ready for pickup one week after your class. Each student can expect to make one small to medium form in each part session. The form is the choice of the student, but the end goal is learning how to apply all the varying different colour techniques. Flameworking is a small-scale version of glassblowing. Students are seated at a bench with a small torch flame that’s used to melt rods of coloured glass. The work is intricate and detailed – perfect for creating glass jewelry or small sculptural items. In this beginner’s entry-level class, sit with the Flo flameworking team and learn the many patterns that can be played with to form beautiful glass beads formed on the mandrel. This fun introductory class will test your coordination and is sure to get you inspired. Students can expect to make at least 2-3 beads. Learn first-hand about molten glass while coming home with some pretty wonderful handmade art! Flameworking is a great way to learn to work with glass, with a quick learning curve! Come for yourself; bring some friends or have a fun date night. Your pieces will be ready for pick up the next day. This class is equivalent to the “Bead Teaser” or “Bead-making Basics” classes, if you’ve already taken one of those, you can go ahead and register for Part 2: Basic Bead Decoration. Build from the basics and explore some added bead decoration techniques! Learn how to space your beads and add different patterned dots. Learn trails and the swirl pattern. Lastly, try your hand at bubble encasing as an extra playful way to keep you wanting more. * Once you’ve finished Part 2, students have the minimum time required to start renting studio time and practicing on their own. Class includes one free rental hour coupon to start trying on your own! In the third and last part of our bead series, learn the masterful art of encasing glass beads in clear glass to make them POP! There are several methods to try, some easier than others and some cleaner overall, but requiring some practice. All skills acquired in this class are valuable tools that will build to the quality and mystery of your bead work. You can expect to make at least two pendants in this class. Skills learned in Part 1: Marias, glass shaping & pulling loops. Prerequisite: The Beginner Bead Series or equivalent approx. 10 hours experience with soft glass. Build on the skills you learned in Boro Part 1 by learning to pull and place coloured dots accurately. Learn the basis for making a proper punti and melting in a lens magnifying the design on your pendant. Try your hand at adding glass to your pendant to make your hanging loop. Skills learned in Part 2: puntis, color glass pulls and application, lens formations and adding pendant loops. Prerequisite: Boro Part 1: Seaweed Implosion Pendants. Learn to use multiple colors and sized dots to create new patterns: two-toned flowers and rose-type implosions. Develop your skills and control in the flame learning to draw with stringers. Learn to shape your whole pendant in the flame creating new effects and shapes. Skills learned in Part 3: dot patterns, multiple sized dot applications, as well as stringer pulls and applications. Prerequisite: Boro Part 2: Bubble Implosion Pendants. In this class, students will learn how to make Pandora-compatible beads on an extra wide mandrel. Due to the large bead hole and wide circumference of this style of bead, the bead shaping and decoration will be done a little bit differently than on a standard bead. Your instructor will walk you through the process and provide tips and tricks to help you develop these skills. At the end of this class, students will learn how to apply the metal insert into the bead hole so that they can give their own beads a professional-looking finish. Learn various techniques of applying and layering frit and pixie-dust onto your beads as well as how to encase a frit bead. Frit is finely ground coloured glass and pixie dust is an iridescent powder. Both frit and pixie dust can be used when making glass beads and result in an array of beautiful colour and texture effects. Prerequisite: Pt. 2: Bead Decoration or equivalent approx. five hours experience bead-making. Contact us to book a private class for you or a group. Have additional questions? Feel free to email floglassblowing@gmail.com. In addition to teaching, Flo’s studio facilities are also available for rent. Students who’ve successfully completed the 6-part Beginner Series can refine skills with rental packages. Find more details here.